Discussion in 'Chickens' started by Vasara, Mar 18, 2019. I don’t have any chickens yet, I’m still in the research stages. I found answers to most of my questions but in finding those answers, I’m left with more questions. I understand the square footage per bird but different blogs, sites, threads differ in opinions. For us, buying a coop is the best option vs building our own. Our chickens won’t have unlimited access to our entire yard, so technically they won’t be free range. Am I correct in saying that? The coop I’m interested in, the manufacturer says it’s suitable for six chickens. Its about (converting centimeters to feet) 6’ wide, 2.5’ depth and 2.5’ tall with four nest boxes. We will build a fence around the coop that is 10’x10’. I will also have a tractor so they can explore and forage. So my question about the space I have ‘planned’ Is this a suitable size coop and run for 6 chickens? Maybe 8? At first, I just wanted to get 2 chickens to see if I like it and can do it. Is the coop too big for just 2? I’d like to have everything set up for the maximum amount of chickens I’d have, and that would be 8. Onto feeding. I’ve found a supplier for pellets. Their recommendation is a ratio of 2:1 layer pellets to regular pellets, totaling 120 grams per chicken, per day. I’m really confused on feeding chickens though. I’ve read so much about kitchen scraps as well as grains and fodder. Kitchen scraps are a snack? What about fodder and grains? Are the pellets all they NEED? If I give kitchen scraps and/or fodder, do I reduce the amount of pellets? Food and water need to be available all day, but what about at night when they’re cooped? Do I move it into the coop with them so they have 24 hour access to food and water? What about grit? Should I give oyster shell or just the tiny stones? How much per bird? Daily, weekly? I’d like to keep chicken as economically as possible so growing fodder as food for them is something I’d really like to do since wheat and barley grains are much cheaper than a bag of the same size of pellets. With a family the size of ours, kitchen scraps are always there, so feeding the chickens those would also keep costs of feeding them down. I don’t want to scrimp on feed costs and compromise their health though. So please tell me if I can do this and still get good egg output. I did the same thing years back when we lived in town and I wanted just a few chickens. I built a 8x8 walk in coop. Then I added a 8x12 foot covered run. I laid wire on the ground all the way around the coop and attached it to the coop and run to keep predators from digging in. I enjoyed my chickens. Feeding them scraps is great. They love the variety of kitchen scraps, and leftovers. Chickens are pretty tough birds, there's not a lot you can do to mess them up. You absolutely want a walk in coop with a dirt floor. It is easier to keep and they need to be able to scratch in the dirt and take dirt baths. I used deep litter, adding leaves, grass clippings, vegetable matter from the garden. They enjoyed scratching through it, eating some, pooping on it and making compost for the garden. I have more for you, but am keeping my 2 year old grand daughter today, she has a fever and can't go to day care. I'll be back tonight. 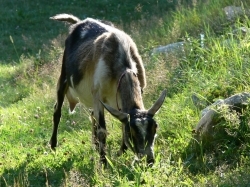 HomeOnTheRange, Sheepshape, B&B Happy goats and 1 other person like this. That is just to give you some ideas. You can tag me to your post with @ in front of my name like @Baymule and I will get an alert. We can discuss coops and your particular needs. Square footage varies mostly by breed/personality of the chickens you get. Some chickens will fight and beat each other up if they don’t have enough space while others don’t mind smaller spaces at all - which is one of the reasons the reports tend to vary. I just go by: bigger is always better! Two chickens will not be upset by lots of space It’s also true that the larger the run, the smaller the house can be since they’ll spend the majority of their time outside. I free feed my birds, but the more range they have and scraps I give them the less pellets they go through for sure! If you give them sprouts and fodder, I would suggest offering free choice oyster shell to keep their laying up. My birds have their pellets and oyster shell inside, water inside and out, and I toss all their scraps in the run. Do you have any pictures you can post of the coop that you are thinking about buying? What will you do with old layers? They kinda fizzle out after 2-3 years and don't lay as much. They still eat the same, but you won't get as many eggs. When I had limited space, I bought 6 new chicks every spring. They usually started to lay in the fall. My 3 year old hens molted in the fall, so I butchered them. At 3 years old, they would be 4 years old in the spring and wouldn't lay many eggs at all. So better for me to put them in the freezer for chicken soup. The 2 year old hens would molt in the fall and stop laying. I kept them through the winter and they started laying again in the spring. So I kept a revolving flock, bringing new ones in and taking old ones out. The reason I am telling you this is so that you are aware that the older hens won't lay well, then what will you do with them? You will have to bring in new chicks or hens to keep up with laying the eggs your family needs. And also so that you can plan a bigger coop to accommodate the new and old hens as you bring new ones in and butcher the old ones. Some people can't butcher their old hens and keep them for pets. This is ok if you have the room and money to keep non producers. Most people butcher them for feeding their family, a few people give away their old hens. It is something to consider. HomeOnTheRange, SA Farm and B&B Happy goats like this. That’s great I do, thank you. I’ll attach some pics of the coop I’m considering. I’m aware that after a couple years, laying lessens and eventually stops, so I planned to butcher them for eating. Since they’d be older, the meat would only be good for soup? I didn’t think about when that would be or how and when exactly I’d replace them, so your experience is really helpful. It’s my understanding that the amount of light they get determines how much they lay. I won’t give artificial light so I’m depending on nature. Where I live, our winters are pretty mild (usually we stay above freezing but maybe 2-3 weeks out of the whole year we’ll get temps in the 20’s) and it stays light quite long. Now, it being only March, it’s already staying light past 6:30pm and in the summer it stays light until 10pm. I’m also under the impression that one hen will lay 5 eggs per week. If this is average for spring and summer time, what can I expect during the fall and winter months when it’s colder and not light as many hours per day? That is a VERY small coop. Personally, I like low maintenance and a solid floor must be constantly cleaned or the poop piles up and gets filthy nasty in a very short time. In addition, that coop sits on short legs. Chickens like to scratch, dig and will shortly dig under the coop to lay eggs, making it harder for you to collect them. I am a big fan of a dirt floor and deep litter. I clean my coops out several times a year. Then I lime the dirt and put in more litter in the form of wood shavings, leaves, hay, straw, grass clippings, or whatever I have. A coop large enough for not only the few hens you want, but room for the replacement hens that you will have is what you need. I would build a coop larger than what you think you need, and tall enough for you to walk inside it. My old coop was 8'x8' and just big enough for 8 hens. I quickly realized that as I added more young hens, it was overcrowded and added the 8'x12' run. We moved 4 years ago to 8 acres and I have built several coops on skids. I am about to build a permanent coop with a run, much like the old one I had. Here is a link with plans and pictures on how to build a roll our nest box to keep hens from eating eggs. Yes, they will eat eggs, not all of them and not always, but once started, are hard to break them of the habit. HomeOnTheRange and SA Farm like this. Yeah, that coop looks more suitable for 4 chickens than 6-8 because a lot of the space is taken up by nest box and food/water space. Perhaps you could start with that, then use it as a brooder or temp housing for your replacement stock later? My sister had a coop about that size for 3 hens and it was great for them with a lot of outside run time, but she quickly realized that they needed something bigger when they needed to get more hens to replace their old layers. Now they use it for a temporary pen, quarantine pen, or for chicks/pullets to transition them.